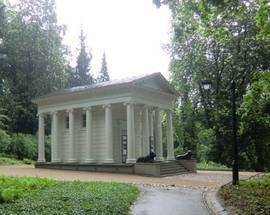 On entering the park proper, make your first port of call the Chopin Monument, sculpted by Wacław Szymanowski and unveiled in 1926. 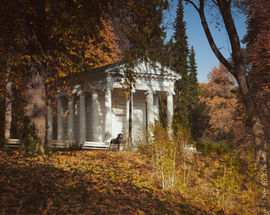 It depicts Chopin sitting right here in Łazienki, next to a willow tree. The original sculpture was destroyed during WWII, and the one we admire today went up in 1958. 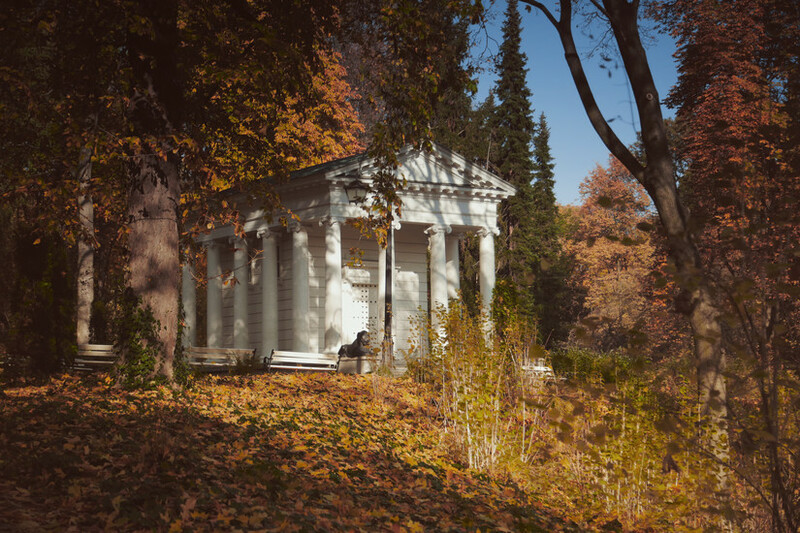 Almost hidden in the trees a few metres from Chopin is the astonishing Temple of the Sibyl (closed to the public), an 1820s replica Greek Temple built entirely of wood. Look out too for a gaggle of other little buildings here such as the Hermitage, the Egyptian Temple and the Water Tower. None are currently open to the public. 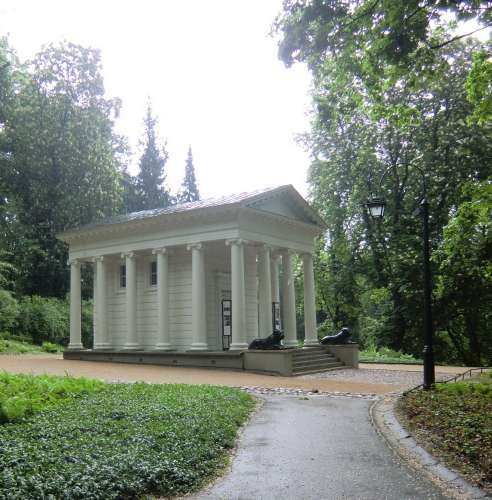 Don’t dare miss a visit to the art nouveau Chopin Monument next to the Botanical Garden in Łazienki Park.